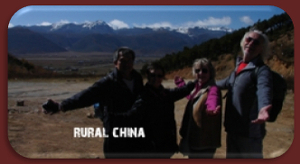 We (a retired couple) had decided to visit Yunnan. We had read some guides and had some ideas. Through a common friend we established a contact to Ilian who proposed us a program of 7 days including visits, accommodation and transport. Ilian, who has a rich vita between Europe and China, had immediately interpreted our interest both in landscape, architecture and people. He prepared a trip with reasonable transport time, appropriated, simple and nice guesthouses. The landscapes are quite overwhelming and very varied. We had not realized the importance and richness of the minority cultures in Yunnan. Ilian made us discover the architecture and way of life of some of the different minorities. We also appreciated the simple but very tasty food, in particular the rich variety of vegetables. There was a lot of time for walking in the old towns and to stroll in rich markets. The 7 days were fascinating, not too tiresome and rich of human experiences. We were received at the airport arriving and accompanied to the airport the last day, the trip began relaxed and ended relaxed. 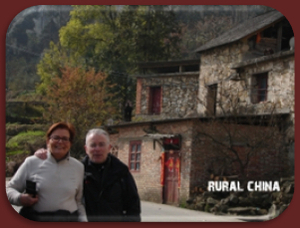 This summer will be the 4th time I have travelled with Ilian in rural Yunnan province. As a documentary photographer I have travelled with Ilian from the mountainous north to the tropical south, every time exploring places tourists seldom visit, Ilian always going out of his way to find out of the way villages, fascinating markets and wonderful minority families. He has always arranged exciting itineraries in advance but at the same time remains flexible to change plans or stay longer if it is possible. Our trips have also always enjoyed a wide variety of wonderful food that Yunnan has to offer. Thank you so much for helping us enjoy our all-to-brief in Yunnan. Your expertise, and more your dedication, in finding real, authentic, fascinating locations, food, and people made our time in southwestern China rich and unforgettable. Our little group of four friends are eternally thankful that you were available and able to understand our interests and priorities quickly so that we could make the most of our 10 days there….I can still taste the breakfast wraps in Dali, and will never forget the 100 Chicken Temple in Deqen…as well as a hundred other things that we experienced only because you knew the country, understood our interests, and showed us the courtesy to introduce us to a bit of YOUR China…..Thank you from all of the Four Friends! Имахме желание да посетим южнaта и Тибетската част на Китай. Свързахме се с Rural China, Илиан ни беше (екскурзовод) водач. Илиан е уникален пътеводител и познанията му за Китай са огромни. Пътешествието ни беше организирано по ноти. Разгледахме красиви градове, селища, манастири и много други екзотични места. Заведе ни на китайски природо лечител, който ми излекува болките в краката с билки за една седмица. При желание да пътувате из Китай горещо ви препоръчваме да се свържете с Rural China. Благодарим ти Илиане за прекрасното ни пътуване! We have made it safely back to the US and have had the opportunity to reflect on our wonderful trip to Yunnan. It was a transformative experience, and exceeded our expectations in every way. We enjoyed the first hand experience of the people, the culture, and especially the food which the tour provided. 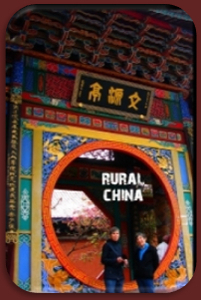 We found Ilian to be a wonderful guide and companion– very attuned to the nuances of China, and incredibly well-informed. We appreciated his flexibility, values, especially around protecting the environment and respecting indigenous people, and his ability to put together interesting experiences and itineraries. He is a wonderful human being, a great companion, and a lot of fun. We never tired of his presence. Overall, we would travel with Ilian again, and recommend your organization to others. Thank you for an enjoyable time and many wonderful memories! I was very pleased about this tour; we saw a lot of things: architecture, colourful people, markets, beautiful view and many, many, many noodles soups! Both Pam and I had a wonderful time in Yunnan! In the two weeks of the tour you presented to us a window into a totally different world – a world full of colour, energy and human endeavour. Thank you. Your robust knowledge of China and its peoples, your obvious love of the country (in particular the ethnic groups) and your patience in answering a million questions made it all the more interesting and alive. And not to be forgotten was the exposure to the vast collection of fresh vegetables and food of Yunnan (yes, this morning I really did have the urge for a steam bun or one of those delicious rice buns from Weinshan). Thank you. With almost 8 years of experience of average 4 1/2 months travel per year and our 4 th time in Beijing, you are about the best Tour Leader we ever had. Thank you very much for a very enjoyable time with you in China. My three week trip to Yunnan was one of my best road trips ever. together we adjusted the itinerary when necessary. visited remote regions as well. I look forward to traveling with Ilian again very soon. On my first ever visit to China I really didn’t know what to expect. just wish it could have been longer!Ilian was the perfect guide. He managed to combine a rich and extensive knowledge of the area, the peoples, the culture (and so much more) with excellent organisation and planning. with an old friend. It was great fun. take a tour with Ilian. I’d certainly do so again.